Hanoi (VNA) - African swine fever (ASF) posed a substantial threat to the pig farming industry although measures have been taken to stop the disease from spreading, said Minister of Agriculture and Rural Development Nguyen Xuan Cuong at the first meeting of the national steering committee for the prevention and control of ASF in Hanoi on March 26. Cuong warned that the disease would spread across the country very quickly unless localities and agencies took drastic measures. According to Nguyen Van Long from the Department of Animal Health, as of March 25, ASF had been reported in 21 cities and provinces across the country. 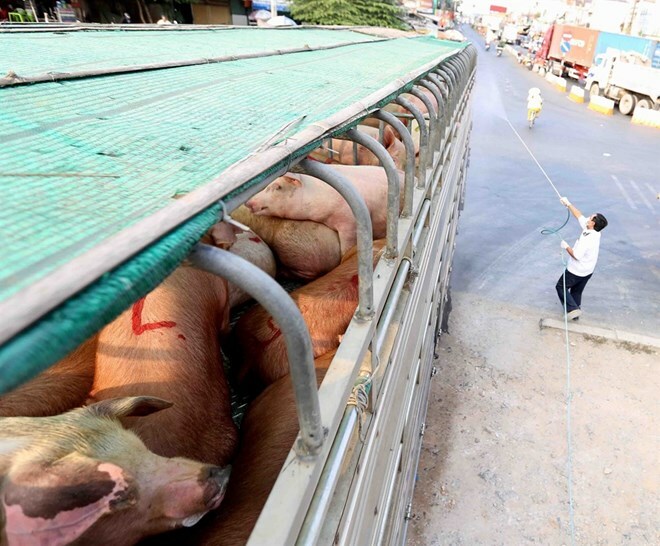 Nearly 65,000 pigs had been culled. ASF was first reported in smallholdings, but since March 20, it has spread to farms operating on a wider scale. He cited a herd of 4,500 animals in Dong Tao commune in Hung Yen province’s Khoai Chau district, as an example. To prevent the spread of ASF, Cuong has instructed localities to adopt epidemic prevention, monitoring, detection and handling mentions to ensure prevention and control.